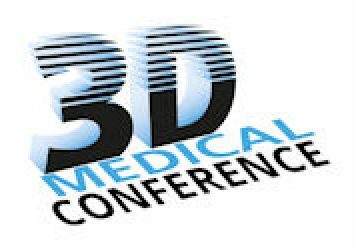 Creation of oral dosage forms using powder bed printing – Presented by Kjeld van Bommel, TNO, at the 3D Medical Conference, which takes place on January 30-31, 2019, at MECC Maastricht, The Netherlands. TNO has been active in the area of 3D printing for over 20 years. Although initially working with more traditional 3D printing materials over the past 8 years TNO has expanded to other materials and thus areas of application for 3D printing. Among these are the areas of food and pharma, which have similarities in the materials they employ, the product properties that are desired and the challenges this brings for 3D printing. In this presentation some of the latest results of the 3D pharma printing work carried out at TNO will be presented. Kjeld van Bommel studied Chemical Technology and subsequently obtained his PhD in Supramolecular Chemistry at the University of Twente (the Netherlands) in 2000. After having worked on organogel chemistry for many years he moved to TNO in 2006 where he worked as a research scientist on various material related topics such as encapsulation and controlled release, as well as surface modification chemistry. 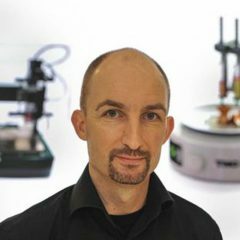 in 2010 he moved to the Equipment for Additive Manufacturing department of TNO in which he currently works as a senior consultant with a focus on the field of 3D Pharma as well as Food Printing. I like to innovate and do new things that haven’t really been tried before. To do this I like to use materials, technologies, and principles from different field and combine them into something new. This implies working with people from different (typically scientific) backgrounds, which is something I really enjoy! “Dune”: my favorite book which I must have read over a dozen times. Working in the areas of 3D printed food and pharmaceuticals I expect this technology to lead to better and healthier foods with lower carbon footprints, as well as improved and possibly cheaper healthcare and thus a better quality of life; ultimately for all people. Investments needed and the courage of companies to make them in order to make the technologies move forwards. I think they should not just attend my presentation but all presentations. Seeing people work on innovative topics is always inspiring and you might just get the next big idea for new business or further innovations.